The year of our Lord 2015 was a very busy year on Hike Mt Shasta. A lot of momentum was built in 2014 and this was carried over and amplified in 2015. Traffic was high and there has been a constant stream of queries and requests from interested visitors. While I try to field every question it did get a bit overwhelming at times and I missed some. My apologies whose emails were left with no response! This also marked the release of my first two books. Both have been very well received and I appreciate the support that was given! 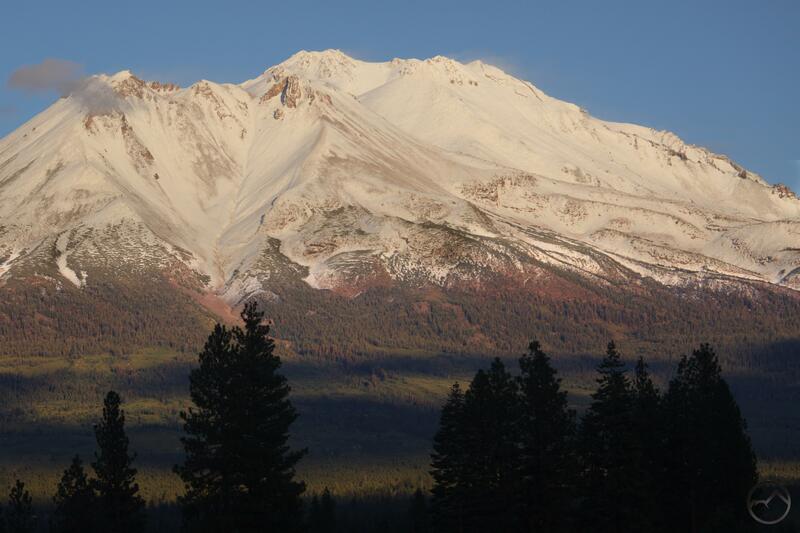 The drought certainly had its impact on the region this past year, with Mount Shasta nearly completely bare of snow (except the glaciers of course) and the creeks and river very, very low. Still, even with little water, it was a great time to be up here in the North State. 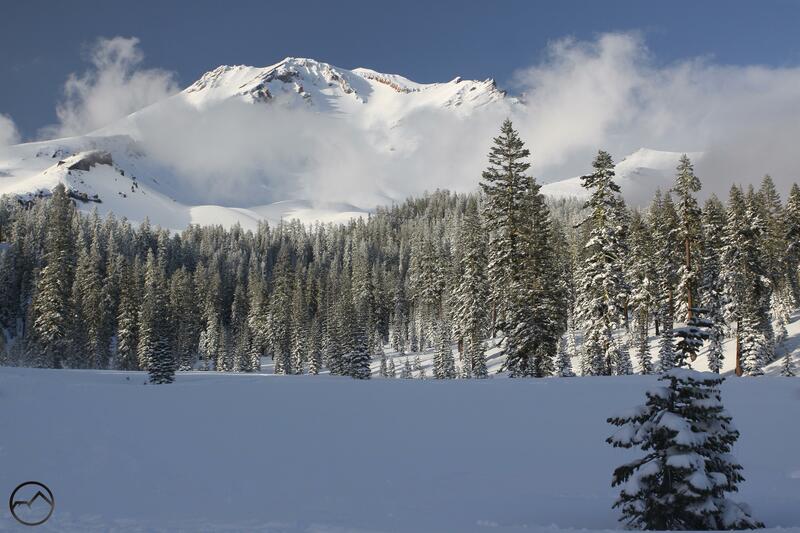 The following is the annual recap in pictures of a year around Mount Shasta. January: We may not have gotten much snow in the winter of 2015 but we did get a fair amount of rain. This yielded snow about 7,000 feet or so but it did not leave much for the coming summer. Still, the creeks and rivers were swollen with runoff and many of vernal pools in the Shasta Valley were refilled. They made for great viewing of Mount Shasta! February: The sparse winter continued through the second month of the year. Heavy rains punctuated the long and futile wait for snow. Nonetheless, nature persisted and it was always spectacular, especially around sunrise and sunset. March: The light winter meant spring came early to the Mount Shasta area. The days were warm and the grass, especially in the Shasta Valley, started to turn green. It was beautiful as always, even if it was a little early. Still, one needed only to look up at the mountains and note with foreboding that there was very little snow to last the state through what portended to be a very long summer. 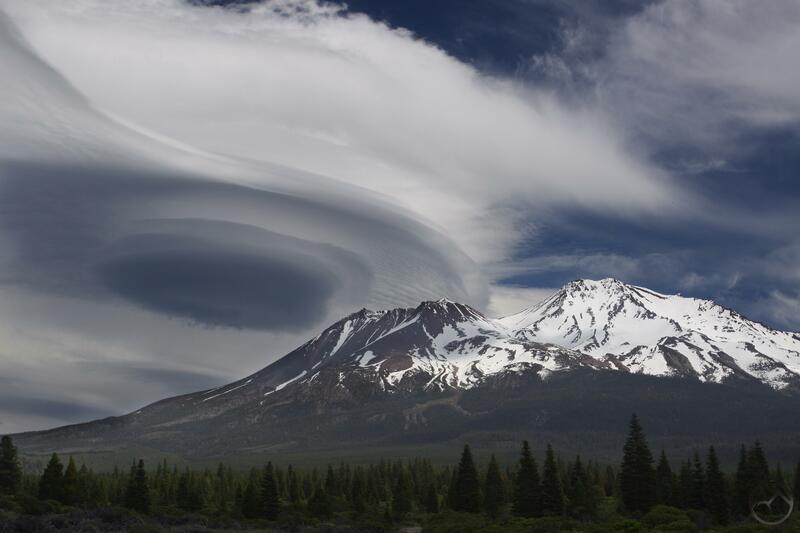 May: The transition to summer began in earnest, bringing some spectacular lenticular clouds. These often mark the changing of seasons, especially at the end of spring and fall. This was no different in Mount Shasta this past year and it produced some memorable specimens. The early shift to summer meant some fantastic gardens this year! June: By the sixth month, the high country was completely accessible and it was time to get out and explore the mountains again. 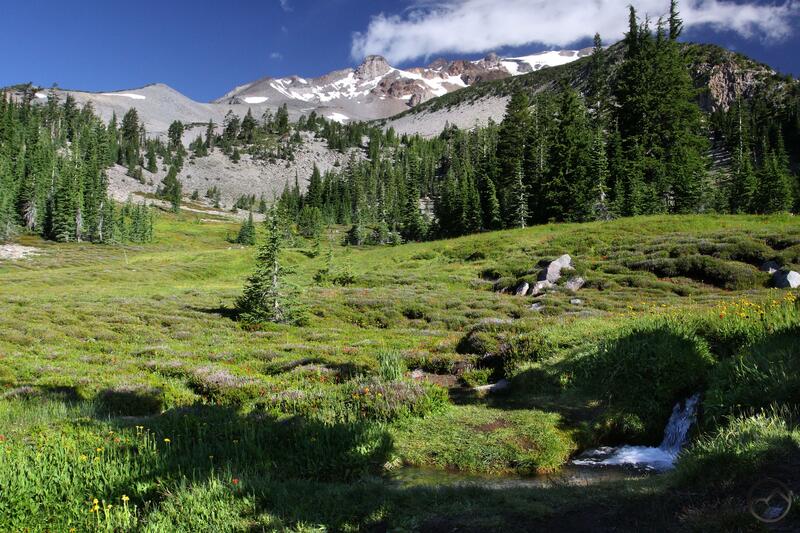 There are many, many places around Mount Shasta that are off the beaten path and beckoning to be explored. Ash Creek Butte, on the east side of the mountain is one of these. It is an amazing area with unique geology and incredible views of Mount Shasta. 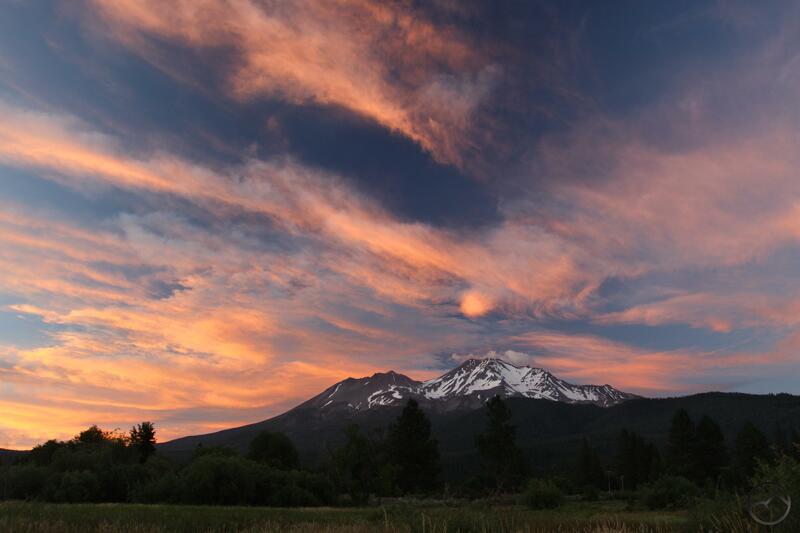 July: Summer was in full swing on Mount Shasta. The meadows were green and lush and the wildflowers were in bloom. It was a capitol time to be on the mountain! 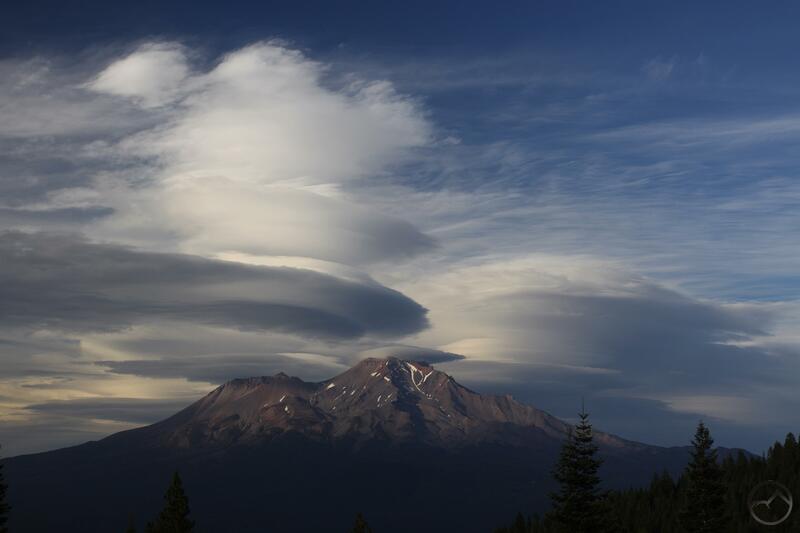 August: The mountain may have been bare but this was one of the most spectacular lenticular displays I have ever seen. 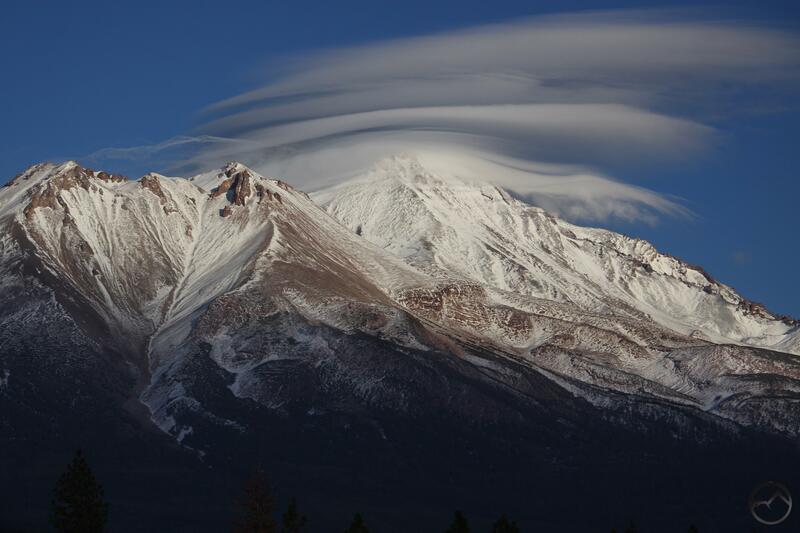 I think it looks like Mount Shasta has a halo and angel’s wings. 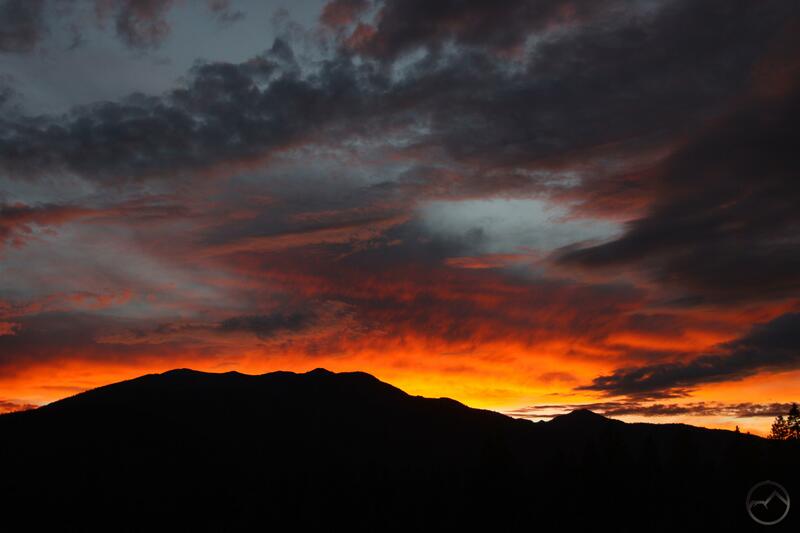 September: Late summer brought spectacular sunsets. 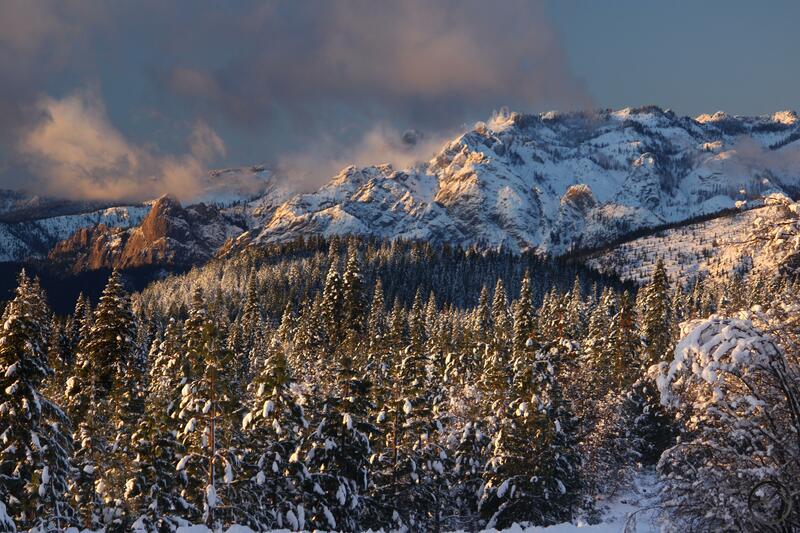 While not as dramatic as Mount Shasta, Mount Eddy still makes a great silhouette for the setting sun. October: The colder weather meant a return of the white mountain. 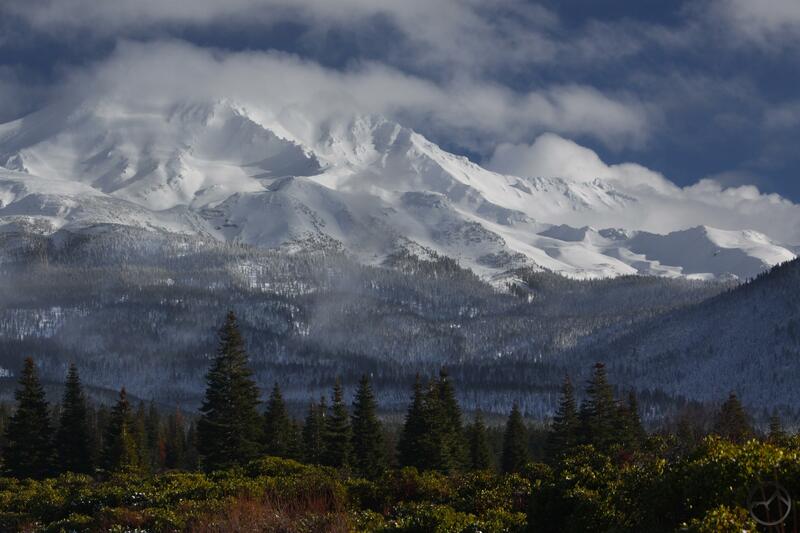 After many months of Mount Shasta missing its snow cover, it was great to see the mountain with its white mantle again. November: The changing seasons once again produced more amazing cloud formations. These lenticulars were only a small part of a truly epic display. December: The last month of the year gets two images in celebration of winter returning to the land. There has been more days with snow than not, and it has piled high. The ski park is open, families are out sledding and snowshoeing is a thing again! Thank the Lord and may it continue through the rest of the winter. Once again, I appreciate the support I have received this past year, both for the website and the books. I do try to stay away from plugging them relentlessly, but I will give myself the liberty to do so here. If you have not bought them already, please do so! 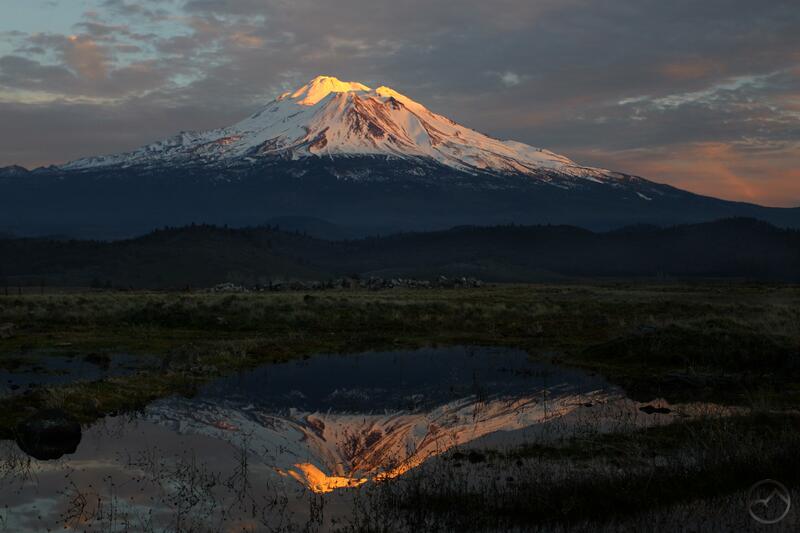 You can find the Mount Shasta book here and the Wine Country edition here. Please leave reviews too! Thanks again and I hope everyone has a blessed 2016! Wow! That is a glorious photo recap! Great stuff, Bubba! Happy New Year, and I hope that winter keeps coming up there (and gets into gear a bit more down here). Omigosh, WOW! These are some of the best photos yet! You do a smashing job with showing off your favourite volcano. Congratulations on all your successes in 2015. Looking forward to seeing your 2016, and I’m relieved you’re going to start the year off with more snow than last year. We are starting off with A LOT more snow. We got more in December than the last three years combined, and it is still coming down hard. Just to make the point, we only got about 10 inches of snow in the 2013/14 and 2014/15 winters combined. It has snowed that much this morning alone (6 Jan)! It can be a pain to clear the snow, but the lack of it sure makes one grateful! Yes! That is good news. I know just what you mean about catching yourself before complaining. The weather can be a pain until we remember the greater implications. 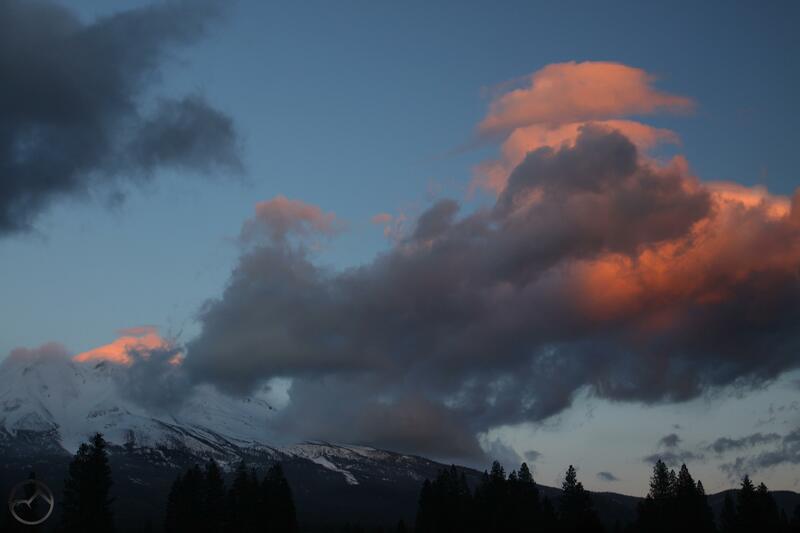 I’m so glad to hear about all the snow on Shasta. Maybe the weather pattern will linger and it will happen again next winter too. Beautiful photos! I usually come to Shasta area late July, but this year want to come earlier to see more wildflowers. Any suggestions for peak wildflower time for 2016? Thank you.